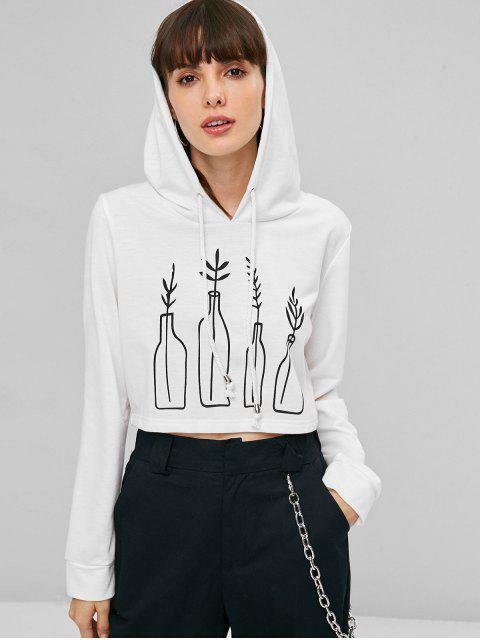 [24% OFF] 2019 Plant Print Graphic Cropped Hoodie In WHITE | ZAFUL .. Your favorite T-shirt is now your favorite hoodie. Printed with funny bottle plant, this hoodie features a slouchy hood with cord drawstring, a comfy loopback fabric, a pullover design, and a flirty cropped length. Pair with sports leggings to hit the gym or pair with jeans for days out.